By now, most marketers have realized that video isn’t a passing fad. It’s the real deal when it comes to delivering authentic storytelling, and it’s changing the way businesses offer unexpected value. Companies are even becoming known for their video content. If I say Coca-Cola, WestJet, or Old Spice, for example, you can likely list videos you’ve shared from these brands. Great videos distinguish you from competitors because this memorable medium opens people’s hearts. Unlike a white paper or eBook, video assets make people feel. And once your marketing crosses over into feelings territory, people want to do business with you. It’s a massive win for your content strategy. Even though you might be creating content, you’re likely stuck when it comes to advancing your strategy or measuring your performance. As budgets for video marketing inevitably increase, you’ll eventually have to justify your investment and you have to be ready. That said, here are four things you can do today to ensure you’re maximizing the impact of your video marketing. The most common misconception I run into when it comes to video is that B2B brands feel a pressure to go viral. Mega brands – like chewing gum maker, Trident, for example – can get millions of views because they’re technically making videos to appeal to anyone with a mouth. Your target market as a B2B company is way smaller than this and your videos should appeal to your niche rather than be broadcast to a huge, irrelevant group. 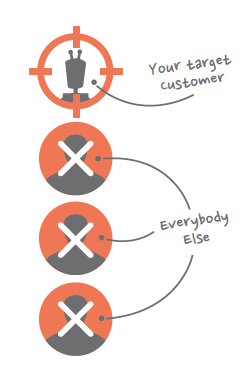 If you narrowcast a highly targeted message capitalizing on your ideal prospect’s pain points, you’ll attract leads who have the interest and budget to actually convert and purchase your B2B solution. You’ll know you’re narrowcasting correctly if strangers to your brand can identify the exact persona or demographic you’ve crafted a particular video to target. It’s a smarter strategy than trying to boil the ocean. Another trap most companies still fall into concerns video distribution. Once you’ve made a video, you likely share it on social networks and wait for the views to roll in. Video can bring in a ton of site traffic and SEO benefits, so it’s actually best to embed it on a landing page on your website and share from there. Ultimately, you want this landing page to feature video as the main attraction. Oracle did this particularly well with their Journey to Modern Marketing campaign. Here you can see that guides, social components, and promotion for their blog all live on a dedicated landing page where video is clearly the visual star. The 5 part video series resulted in a 120% increase in engagement, and an 85% increase in attribution to the creation of marketing qualified leads! 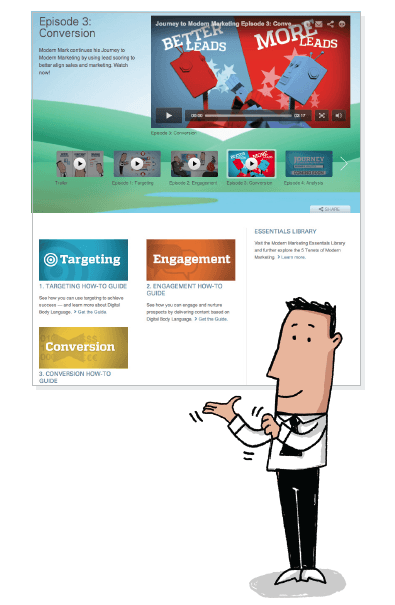 For more info on best practices, check out this helpful post on video landing page tactics. After you’ve spent time and money on video marketing, you need to ensure it’s contributing directly to the bottom line. You can do this after measuring each video’s performance (which is super easy to do with a video marketing platform in place). Which specific videos (or combos of videos) did converted leads watch? These metrics will indicate how engaged your audience is and you’ll learn over time which content to amplify, or which videos you might need to modify to suit your target audience’s average attention span or preferences. On a whole, don’t market what you can’t accurately measure! Your goal as a marketer is to increase the amount of marketing qualified leads coming into the sales pipeline. As you do this, it’s also imperative to understand which leads you should prioritize based on where they are in the buying cycle or their level of interest. This qualification process is infinitely easier if you have a lead scoring model in place, and it’s an even better model if it incorporates individual prospects’ video viewing history. For example, if Alan drops by your website and downloads a white paper, he gets 20 points. However, if you’re not accounting for his video views, you’re blind to his actual interest. You see, Alan watched 8 videos in full in the 20 minutes he was on your site (each of them leading him to a particular product vertical he spent lots of time on). If you were accounting for these views, he’d have a higher lead score based on his attention span (indicating high interest) and sales could be notified to contact him immediately. Overall, if you’re not lead scoring based on how prospects are interacting with video content on your site, you’re blind to quality digital activity and missing out big time. 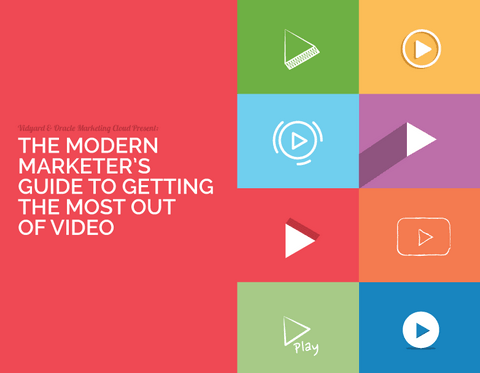 Each of these four tips come from our latest eBook, The Modern Marketer’s Guide to Making the Most out of Video. The guide is packed with B2B video examples and tactics that will take you from static to strategic, so make sure you take a look for even more helpful information! Jennifer is the Content Marketing Manager at Vidyard. She loves all aspects of video production, information design, and using video to boost the success of marketing campaigns.